This is where our money went: watching unforgettable onscreen romances! (SPOT.ph) There are some things that triumph over even death itself. One of them is taxes and another is that ineffable magic that some people have between them. A tiny spark that explodes when shown on the big screen, leaving us swooning over a romance that we want to will into reality. In our previous list, we fondly reminisced over the power pair that is Gabby and Sharon because even though the Megastar seems perfectly content with her role as Mrs. Kiko Pangilinan, KC Concepcion reminds us of what might have been. How can we ignore that? We don’t care that they might never give us a real-world happy ending, they’ve given us a lifetime supply of kilig with matching theme song. Here are 10 more Pinoy love teams that make us forget our heartbreaks and believe in love that is pure and true. 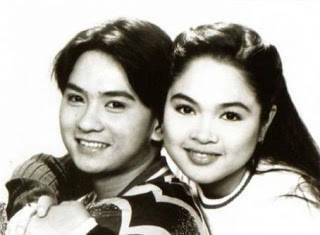 Love team appeal: They were the It couple of the ’90s-beautiful, young, talented. They made us tear up at their romance, laugh at their chemistry, and just essentially made us feel we were part of that love. And because of that, everything they did together was met with high ratings. Why we like them: Unsure of their on-screen potential, Claudine was paired with Rico for Radio Romance despite his then hot and heavy tandem with Judy Ann Santos. In the end, they were so convincing that they dominated the rom-com/cheese flick category of that decade. For that bit of time that they were together, it was true love despite the odds. We were just rooting for them! First appeared together in: Click (1999 cast) as twins! Love team appeal: They’ve been having that sort of incestuous romance way before Game of Thrones made it fashionable again, and it was interesting to see how these former reel siblings could translate that filial love to romance. Plus, the way they look at each other’s almond eyes makes us go "Awww." Why we like them: First of all, they have variety, and variety works well in romance. They made us fall in love when they played birds, they made us swoon when they played traditional Filipino-Chinese. They could play taong grasa and we’d still watch it. Love team appeal: His rugged, dusky good looks perfectly complement her ethereal charm. They were just a gorgeous pair with enough drama in real and reel life to keep us hooked. Why we like them: Richard and Dawn took their onscreen love further with a long-term, off-screen romance that had us believing that true love existed in showbiz. Even Dawn was convinced, saying in one interview in 2012, "We had potential." Oh Ms. Zulueta, believe us when we say it was more than that. Even Richard’s discreet infidelity which resulted in their split, didn’t faze their chemistry. They were ever so effective in Walang Hanggan that we forgot about the rest of the cast, and it’s not easy to steal the spotlight away from Coco Martin. There have also been reports of yet another soap opera featuring the ill-fated lovers (who, in a twist of fate, both married members of the House of Representatives). Love team appeal: Young love. It never fails to tug heartstrings. Why we like them: Because they’re cute. A sweet pair who shares the same birthday with Kris Aquino (it’s February 14 to anyone who cares)? That’s fate! That’s amore! John’s down-to-earth charm beautifully balances that rich, valley-girl character that Heart usually plays. They might not be one of those couples that you’ll immediately remember, but it’s a subtle and sweet romance that lingers in our hearts. Love team appeal: Perfect comedic timing that makes us laugh and cry, sometimes at the same time. Maricel and William’s on-screen portrayals were relatable to the audience: they weren’t overly dramatic, they don’t take each other too seriously. Real life romances aren’t always conflicted with nutty parents deadset on keeping you apart or with drugs and assassins. It’s fun and enjoyable, with a few speed bumps along the way. Maricel and William were as real as reel love could get. Why we like them: Because they show us a kind of romance that isn’t always too serious or too dramatic. For them, love is a riot and that’s what they do best. 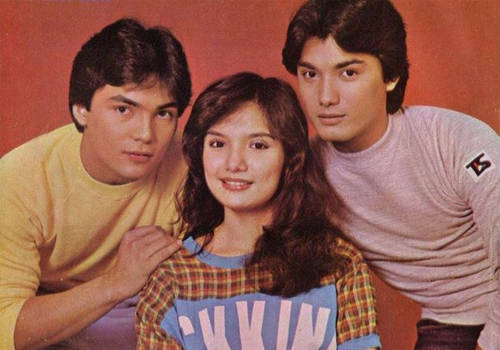 Love team appeal: Before there was Kasal, Kasali, Kasalo and Sakal, Sakali, Saklolo, there was Kasal Kasalan Sakalan. Typically, the word "unconventional" is the less painful way of describing ugly but in this case, it’s not a euphemism. Judy Ann Santos and Wowie de Guzman broke the mold when they first came out in Mara Clara. Judy Ann has never relied on her looks to take her where she is now, charming the audience by being relatable. Paired with Wowie de Guzman, they made the most normal looking pair in the best possible sense of the word. Why we liked them: When they were cast in lower than lower middle class roles, we believed them. They could be us, if people paid to see us cry too. First appeared together in: Does Starstruck count? 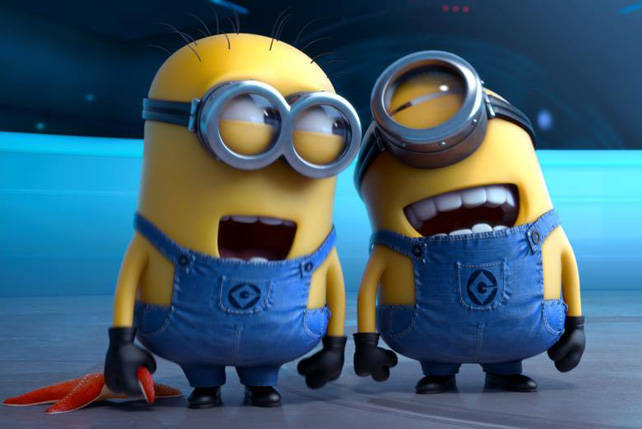 If not, the pair joined Click as a way to save the show and in the film So Happy Together. Love team appeal: Their transition from real people to fictional characters was a bit bumpy, with their fans finding it difficult to discern if the two were just naturally gifted actors or if they were really falling for each other. Memorable work: Let the Love Begin, Say That You Love Me, and hit fantasy TV series Encantadia. Why we liked them: Jennylyn’s lovely face? Mark’s medyo bad boy charm? It’s a formula that’s been proven to work since Sampaguita pictures! First appeared together in: This love team blossomed in a reality show, with Kim Chiu being the big winner of Pinoy Big Brother: Teen Edition. They first appeared in Star Magic Presents: Ang Lovey Kong All Around and was then launched in the film First Day High. Love team appeal: Half-Chinese meets half-American. We all know that two halves make a whole but they seem to be destined to play the role of star-crossed lovers. We love happy endings but make the road to the end as tragic as possible please! Why we liked them: They kept us guessing about their personal lives (Anderson admitted in 2010 that they were together for five years) but it was the intense level of drama in their shows that really got us hooked. She dies in Sana Maulit Muli and Tayong Dalawa, making us want them to get together even more. Love team appeal: The star power of youth! Why we liked them: They’re young and really cute plus their first major telenovela had them playing fictional Bhutan royalty. That kind of association tends to stick. It doesn’t hurt that Daniel hails from the Padilla clan or that Kathryn Bernando took on the role of Mara, made famous by Primetime Queen Judy Ann Santos. Love team appeal: They were both in their teens when they started working together and Regal steadily nurtured the chemistry between the two, writing roles that made you root for the couple as they fought for their right to love each other. Why we liked them: Despite being paired with other young stars then, even Snooky Serna admits that what she had with Albert Martinez on and off screen is special. They were reunited in 2002 with the series Habang Kapiling Ka, dealing with the same problems they had in their teenage years. We can’t blame people who want to keep them apart. Too much of a good thing turns bad in an instant. Imagine how gorgeous their babies would be. We can’t have that. The world can’t handle it.